The Colnago C64 – the perfection of made in Italy. We would recommend the Colnago C64 at Lifecycle UK because of the innovative design and technology and the historic legacy of Colnago. 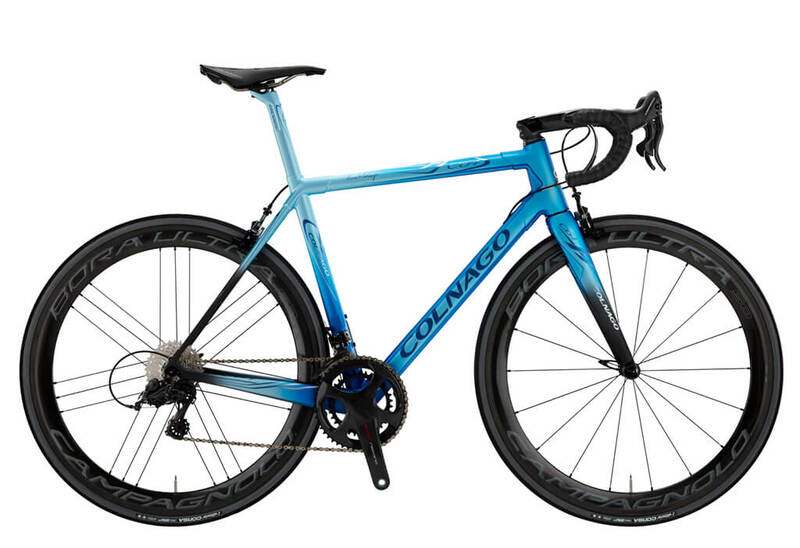 The Colnago C64 frame is made in Italy and is the result of more than 2 years of research and development. It represents the continuity of the history of a company that has collected successes and innovations for more than 60 years. This new frameset is released to celebrate 64 years of Colnago, the C64 is the product of one of the longest and most celebrated histories within modern frame-building. Despite increasingly lightweight and highly technical frames from the big bicycle brands at present, a bicycle that is handmade in Italy is very appealing. Using a tube and lug construction with a tangible connection to historic racing bicycles. Under the watchful eye of Ernesto Colnago, this Italian company has created some of the most desirable and highly advanced road bikes in the sport – and this C64 Disc is no different. Integrated cable routing and efficient aerodynamics. The Colnago C64 features integrated cable routing, housing shifter cables within the handlebars and internally through the frame. This gives the bike a clean aesthetic as well as improving the aerodynamics. The downtube, similarly, offers a recessed bottle cage area that helps to shield your bottle from air flow, further improving aerodynamic performance. Shifting is provided for by Campagnolo’s 11-speed Chorus groupset, ensuring crisp and reliable shifting mile after mile. The carbon fibre shifters are ergonomically shaped for comfortable long distance rides. The hydraulic disc brakes give you decent stopping power in dry and wet weather. And not to forget – the disc brakes save on braking loads on the carbon rims. We recommend the C64 beacuse it is clearly the result of two years of research and development and by all accounts – the C64 is the result of a serious depth of engineering innovation. The C64 Disc frameset weighs a full 270 grams less than it’s predecessor, the C60. Colnago’s trademark star-shaped frame tube and unique carbon lugs, meanwhile, ensure that the bike is incredibly stiff – so you can put the power down whenever you need to.